President Trump said this week that the U.S. for the first time now fully recognizes Jerusalem as the capital of Israel, and he also said that he will order the State Department to move the U.S. Embassy to Jerusalem from Tel Aviv. Trump had promised since the presidential campaign in 2016 that he would move the Embassy to Jerusalem. In an announcement made late on Wed., Dec. 6, 2017, Trump strongly affirmed that the U.S. government will recognize Jerusalem as the capital of Israel, something the U.S. has been hesitant to do for decades. Israel obtained complete control of Jerusalem as a result of the Six-Day War in 1967. 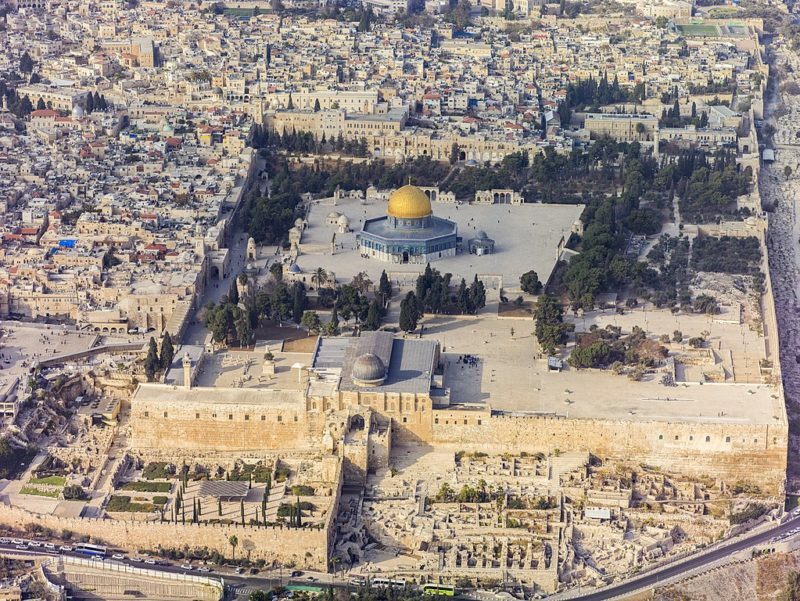 In 1980, Israel proclaimed that Jerusalem would forever be united as its capital. Since that time, Jerusalem has been the seat of Israel’s Parliament (the Knesset) and the location of the Prime Minister’s office, the Supreme Court, and all other government offices. It is only logical that the U.S. now recognize the fact that Jerusalem has been Israel’s capital city for many years. However, this move is filled with controversy, because the Palestinians also want to establish East Jerusalem as their capital. Many Muslim nations have warned that this action by the U.S. could spark significant unrest in the region. The Palestinian President Abbas has said that this move would totally destroy the chance for peace with Israel. Turkish President Erdogan said that he may sever relations with Israel as a result of these events. Islamic terrorist groups such as Hamas are calling for a ‘Day of Rage’ to protest throughout the region. No doubt, Islamic terror attacks will also occur in response to Trump’s action. Tension is brewing in the Middle East to focus primarily upon Israel and directly at the city of Jerusalem just as the Bible predicts. President Trump’s recognition of Jerusalem as Israel’s capital only serves to ratchet up this tension to a much higher level. Soon, this growing conflict will threaten the entire Middle East region and the entire world with war!